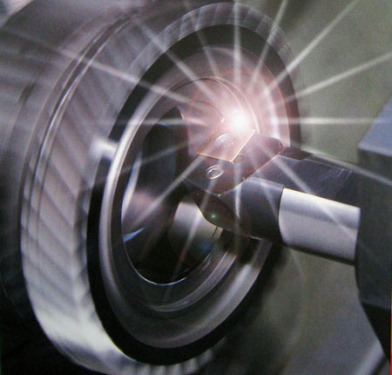 In recent years, most of the high-efficiency cutting tools used in the machining industry in China have been imported from foreign countries and contain foreign-funded enterprises in China. We are also exporting a lot of knives now, but they are mainly low-priced, standard tools. In 2004, China produced about 2.5 billion knives, of which 2 billion were mostly exporters of low-priced and low-cost tools. In the following years, exports were still basically medium and low-grade tools. Now our country's tool factory mainly produces traditional standard tools. Judging from the technological development trend of the machinery manufacturing industry, the proportion of high-efficiency CNC machine tools in China's factories will increase year by year, and the demand for efficient and advanced tools will increase rapidly, while the demand for traditional standard tools will decrease year by year. Now China's tool production supply and marketing situation is that high-end advanced tool products mainly rely on imports from abroad, while the low-grade tool products are mostly exported for malignant expansion, and this situation must be changed as soon as possible. China's machinery manufacturing industry uses a large number of standard tools, while developed countries use a large number of high-efficiency cutting tools, resulting in far lower processing efficiency in China than in foreign countries. JIC hdyraulic adapter is a very common connection in fluid power applications. Both the male and female fittings have 37Â° seat. The seal takes place between the male flare and female cone seat. The threads hold the connection mechanically.